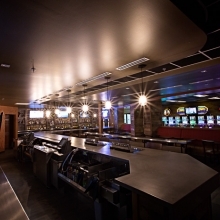 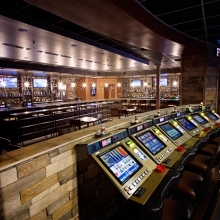 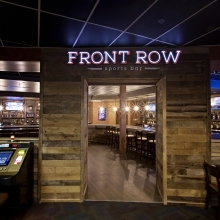 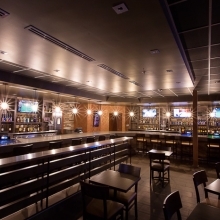 Front Row - Traditions Spirits, Inc.
Centrally located inside Newcastle Casino, Front Row Sports Bar is the perfect place for guests to socialize and to have a drink at the extra-long bar top while watching their favorite sporting events. 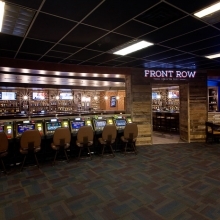 A select food menu, featuring Frito chili pie, Nathan’s Famous hot dogs, nachos, chips, and candy bars, is available for guests craving a snack. 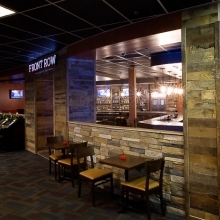 Reclaimed wood and stacked stone give the space a cozy feel, while the guest-controlled TouchTunes jukebox brings a great energy to the lounge!